The world’s largest container shipping line says international freight rates are reversing after climbing for most of this year, raising questions about the sustainability of the global trade recovery. 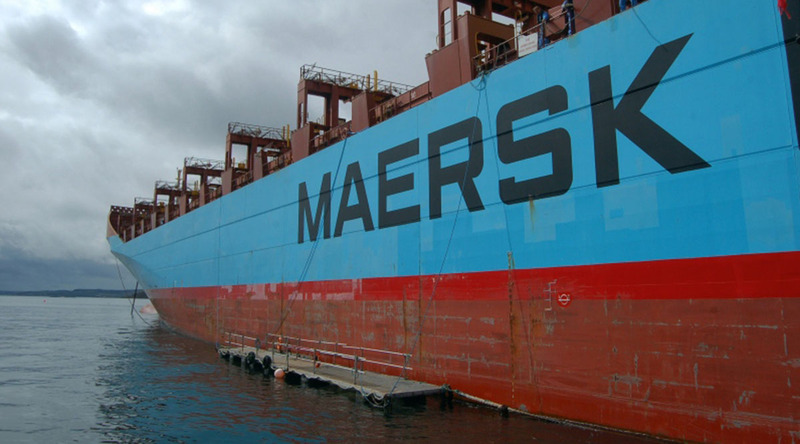 Decade-old oversupply issues swamped demand for containerized sea trade in the third quarter, a senior official at Maersk Line said in a recent interview. Over 90% of trade is routed through ships, making the industry a bellwether for the worldwide economy. “We have started to see some pockets of downward pressure,” said Steve Felder, Mumbai-based managing director of Maersk’s South Asian unit. The global trade order book at around 13.5% of capacity isn’t high, “however, given that freight rates are largely determined on the basis of supply-demand balance, they remain fragile,” he said. The International Monetary Fund forecasts growth in world trade volume will slow to 4% in 2018 from a projected 4.2% this year, though that’s still higher than the seven-year-low of 2.4% hit in 2016. Concern about U.S. protectionism and China’s attempts to rebalance its economy away from exports toward domestic consumption pose risks to the revival. Maersk isn’t alone. Drewry Shipping Consultants expects the container-shipping freight growth rate to drop to less than 10% in 2018 from around 15% in 2017 as a supply glut hits home. CMA CGM, the No. 3 container shipping company, recently signaled slightly lower rates for 2018 in early negotiations of Asia-Europe contracts, analysts at Credit Suisse Group AG wrote in a Nov. 29 note. “It remains very early in the negotiation period, but this uncertainty is plainly unhelpful to investor confidence,” they said. Fitch Ratings expects supply of shipping containers to grow more than 5.5% in 2018, outpacing an over 4.5% expansion in demand. Global trade volumes are recovering from a 2015-2016 slump with demand for goods and services rising 5% to 6% on Transpacific and Asia-to-Europe trade this year, according to Rahul Kapoor, an analyst at Bloomberg Intelligence. Nevertheless, Felder, whose company is looking to negotiate higher prices in client contracts for next year, says much depends on how the supply glut pans out. For India, Felder was optimistic as he sees the impact fade of sweeping policy changes, which include a new consumption tax. India’s containerized trade, representing about 50% of overall trade, grew at 10% in the quarter ended September. In total, the import-export market in India has grown 7.7% in the first three quarters, according to Maersk.